I’ve been missing my cats. We had to re-home them in our move to an eco village on the south island. 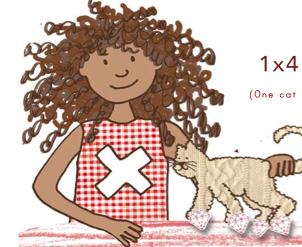 We get updates occasionally, and they are having fun with a loving family on a farm, but nothing beats the fluffy purring following you around as you go about your day and I miss them. 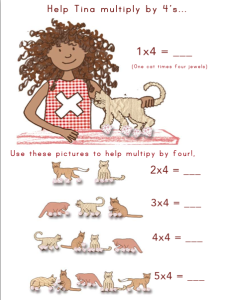 Lots of children don’t light up at the prospect of math, but they do love animals, so why not incorporate animals in your figuring out of multiplication facts? My kitties were my inspiration to help demonstrate groups of four. 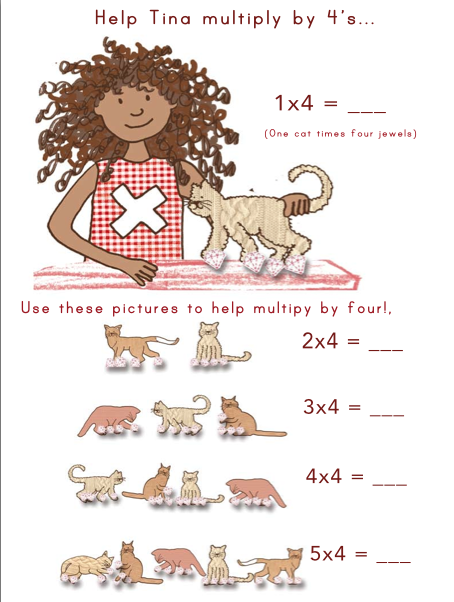 I hope your little one helps feel more competent with multiplication with this little fours practice.